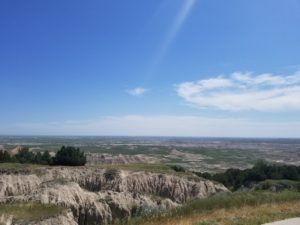 Pictures from my trip to the Badlands National Park, South Dakota. The Plains Indian buffalo hunts provide an excellent example of clear scope, clear “why,” defined roles, and matching roles with skills. 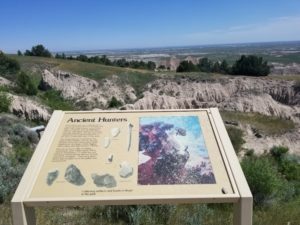 The scope of the Buffalo hunt – to get at least enough buffalo so that they could feed the tribe and provide raw materials for clothing, lodging, and other purposes. The “why” – to not starve. The people who participated in these hunts stayed focus on the task at hand. I don’t see much evidence that they were distracted during the hunt … picking medicinal herbs or hunting prairie dogs. It was understood that the project was challenging enough that it would require everyone’s focus and the “why” was something everyone involved could get behind. Each role played an important part in the success of the hunt. I don’t know the official name of these roles and I might be missing a key role, but this is what I have been able to put together without embarking on significant academic research. Hunting Lead – The lead hunter who determines and leads the execution of the strategy for the hunt. Typically the most experienced warrior. Drive Line Builders – The Plains Indians would take advantage of a buffalo’s limited eyesight by building cairns that led the buffalo to the desired kill site. The cairns look like walls to the buffalo. These cairns may be built miles before the kill site. It appears, from at least one graphic, that women performed this task. Scouts – These men searched for the buffalo herd at the beginning of the hunt. Buffalo Runner – Buffalo calf – A young man, often selected for his running speed, would move the herd towards the cliff by playing the role of a wounded calf in distress. He wore buffalo calfskin and would mimic the cries of a calf in danger. Buffalo Runner – Wolf – Other young men would pretend to be wolves and help to funnel the buffalo towards the kill site. Top of the Cliff – Some people worked at the top of the cliff, helping to encourage the buffalo to keep moving by waving blankets and closing in behind the buffalo. Bottom of the Cliff – Warriors would station at the bottom of the jump to finish the kill, if necessary. Butchering and Processing – It appears that women historically performed most of the butchering and processing. Current-day buffalo hunts in the Plains have the men butchering the kill on-site. Each of these roles and when the role would be performed was clearly defined. This video provides a decent view of what these hunts looked like and how each resource played its role. Though our projects typically do not have starvation as our driving “why” – business projects are typically started for a reason and will at least start with a scope of activity and people who can perform particular roles within the project. Our job, in the business environment, is to make sure that the people on the team know what role they play, why that role is important for the success of the project, why the project is important, and have a clear understanding of the desired end result. It may not be as clear as hunting buffalo to avoid starvation, but we owe it to our teams to provide as much clarity as possible.